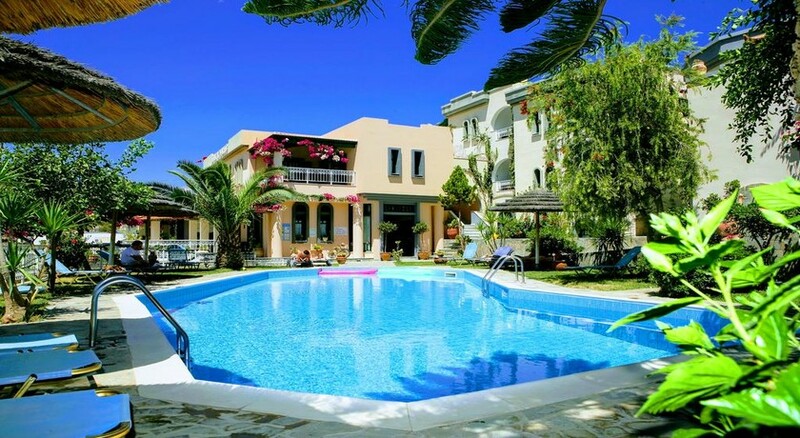 Location Aquarius Exclusive Apartments is situated in the heart of the northern coast of the island of Crete, in the picturesque harbor of Agia Pelagia. Aquarius and is conveniently located 18 km. from the capital of Crete, Heraklion and just 20 km. from the main seaport and airport. The hotel is a short 300m from the beach and the center of Agia Pelagia, with the nearest Supermarket and bus stop only 10m away. Facilities The hotel's 100m2 marble reception area offers you a tastefully decorated snack bar and the veranda cafe, where you can enjoy a lavish breakfast, light snacks, cold salads and drinks, Internet access and business center. The hotel's design, both indoors and out, is also ideal for guests with any form of disability. 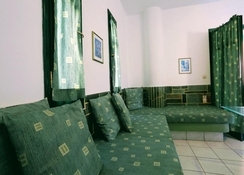 The hotel is also pet friendly Rooms The studios consist of a fully equipped kitchenette, dinning table, living area, bathroom with shower and a balcony or terrace overlooking the pool or mountains. The apartments provide a fully equipped kitchenette, dinning table, living area, bathroom with shower, a balcony or terrace overlooking the pool and a separate bedroom area with either two singles or one king size bed. All rooms include phone, private safe box, TV and air conditioning (with extra fees). Sports / Entertainment The swimming pool is surrounded by a beautiful garden with sun loungers and tables and chairs, making it the ideal spot to laze away your holiday! The swimming pool has different water levels suitable for both children and adults. Meals Breakfast is served in the main restaurant by the veranda alacarte Payment Visa/Master credit cards are accepted as form of payment in the hotel.